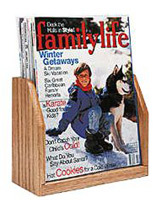 This wood publication holder makes a statement on any desk or counter space. 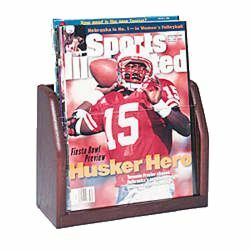 This fixture with one clear pocket displays periodicals without any effort, and when placed by a register encourage customers to make a last-minute purchase! 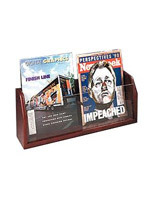 This publication holder, such as a literature display, is finished in beautiful mahogany, giving an elegant appearance to any décor. 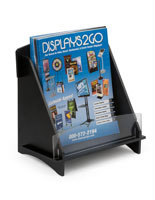 This stands system is simply designed using quality materials, and priced to sell! 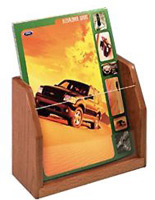 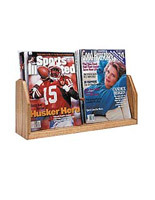 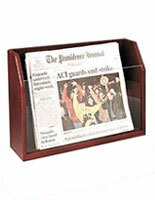 This holder that is a newsletter display is designed so that contents won’t flop over! 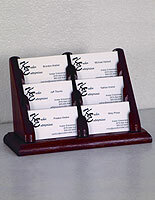 9.5" x 7.5" x 23.8"
8.5" x 7.0" x 2.4"